Main St. south of 1st St. The year 1886.......was a period of great advancement for the City of Los Angeles. Los Angeles had been an incorporated city under laws of the State of California for 36 years. It had a population of some 35,000, with three good hotels, 27 churches, an adequate number of saloons and 350 telephone subscribers. Main, Spring, Fort and Hill Streets were paved that year, and the street car system was double-tracked. A new City Hall had just been occupied at the corner of Second and Spring Streets, which was previously the site of the first public school. 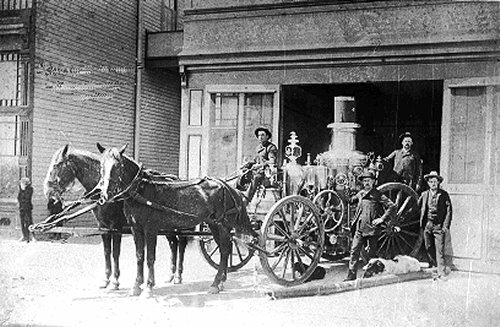 The City Fathers determined that it was high time to have an organized and paid Fire Department to replace, in part, the volunteer fire companies that had served on an intermittent basis since 1869, with apparatus provided principally by public subscriptions. In December 1885, Mayor E.F. Spence signed Ordinance No.205, authorizing the creation of a Board of Fire Commissioners, with power to make all necessary arrangements and do and perform all acts necessary to manage the Fire Department constituted by this ordinance. The ordinance directed that the department consist of a Chief Engineer, two steamer companies, one hook and ladder company and three hose companies. 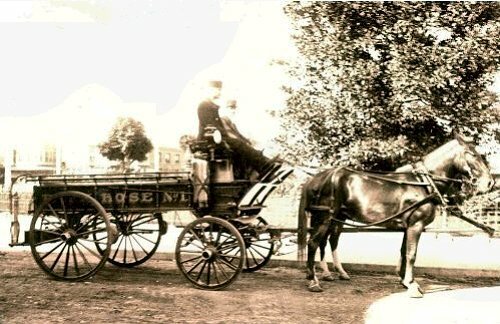 Two of the hose companies were to remain as volunteer companies. The Board of Fire Commissioners, consisting of Mayor Spence as ex-officio President and Councilmen H. Sinsabaugh and J. Kuhrts, came into existence on January 18, 1886, in the City Council Chamber of the new City Hall. There the members took the oath of office, elected Walter S. Moore as their secretary, and adjourned, subject to the call of the President. --and able to converse understandably in the English language. Rule No.18 ordered that engine, hose, and hook and ladder drivers not drive out of a trot in going to or returning from fires and alarms and that racing be strictly prohibited. The Commission on January 28 directed Commissioner Kuhrts to buy five tons of hay, 40 sacks of rolled barley and six sacks of bran. 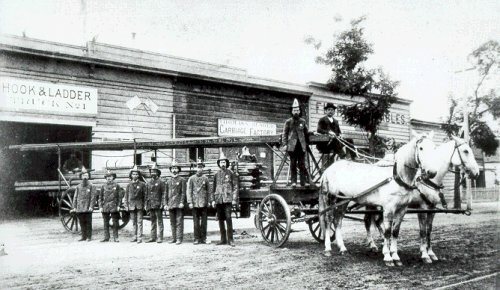 Thus the Fire Department was staffed, provisioned and in operation on February 1, 1886, with stations and apparatus taken over from the old volunteer companies. 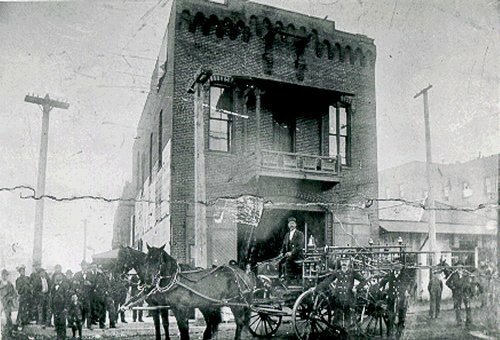 Also effective February 1, 1886 Walter Moore became Chief Engineer of Los Angeles' first paid Fire Department. The above is taken from an address given by William L. Miller, Chief Engineer of the Los Angeles City Fire Department at the Diamond Jubilee Celebration, marking the 75th anniversary of the City Fire Department, held on March 8th, 1961 at the Biltmore Bowl. Board of Fire Commissioners met at 2:00 p.m.